Stunner with female cria at side! Jumanji son! Half interest available!! 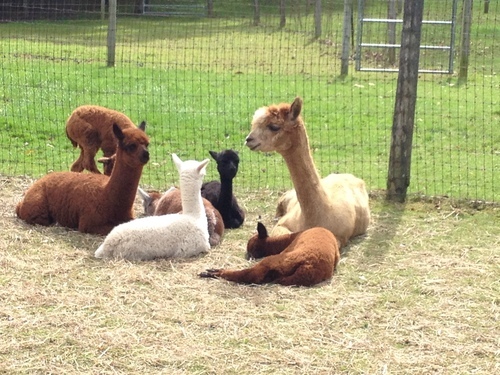 Welcome to Finger Lakes Alpacas. 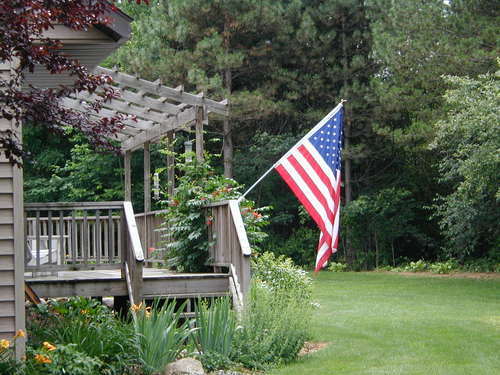 We're a family-owned and operated farm located in the heart of the Finger Lakes Region of Central New York State. We are Polly and Ken Michaelis. Ken retired from the State of New York and Polly was a law librarian for a very large law firm in her former life. We first encountered alpacas in 1996 and our first purchases arrived in November of 1999 - we researched for a very long time (give a librarian a personal research project and she tends to go a bit overboard). Our farm is situated on top of a ridge outside the Village of Weedsport yet conveniently located near exit 40 of the New York State Thruway. We've grown to a healthy and happy herd of Huacayas numbering about 35 - give or take. Ken has enjoyed his time on "the hill" tinkering with pastures and fence lines - always adding additional pastures and tweeking fence lines. Polly retired from AOBA judging but is still available as an industry consultant. For those who wish to partake of a farm visit: we ask that you be understanding that this is our home as well as our business. Appointments are requested (even for those interested in sales and consultations). If you're more interested in a "pet the alpaca" visit, we've limited those to appointments to the first and third Saturdays of the month during good weather. 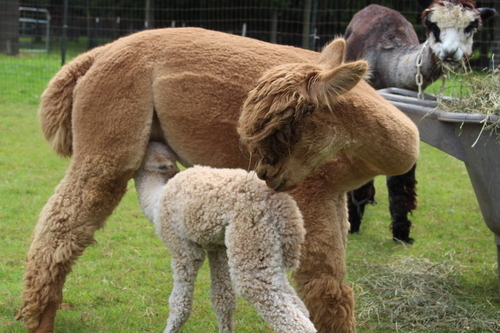 Please call well in advance to schedule your pet the alpaca appointment as slots fill up quickly and we don’t do many during the cold Winter months as they’re just not fun for us or the alpacas. For those interested in sales and consultations, we do schedule those any time as weather is just a part of farm life. 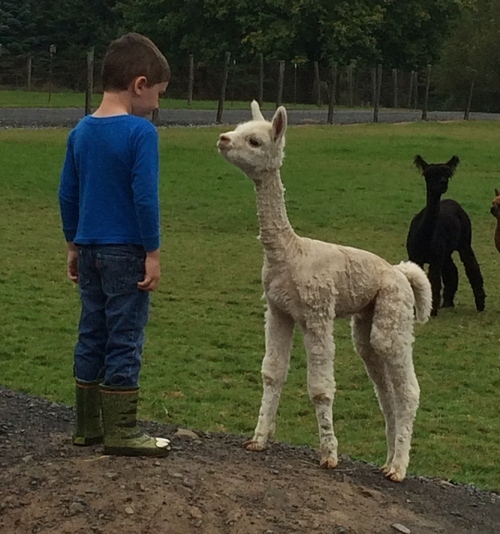 Finger Lakes Alpacas is currently offering zero percent financing to qualified buyers with one-third down for 24 months. 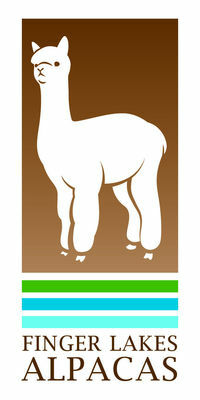 We knew all along that we were amassing some premier alpacas but, gracious, we've outdone ourselves. From top to bottom our males are stellar and being offered, as always, at very reasonable prices (drive-by). Our females are equally impressive. Please take a look and you'll be just as impressed as we are.